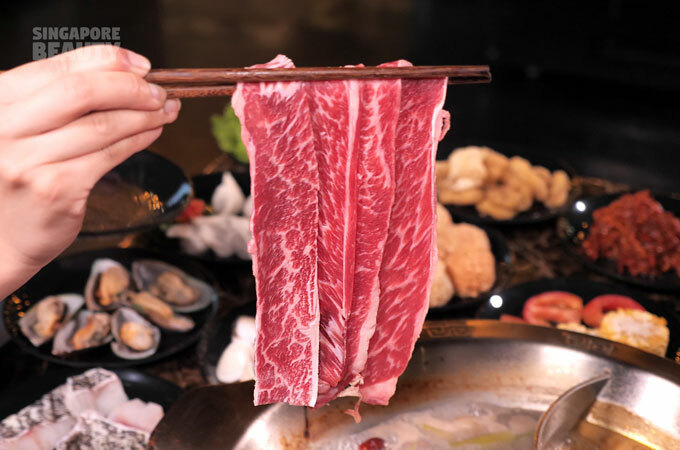 The Three Peacocks has launched a new indoor air conditioned Hong Kong style wagyu beef and iberico pork hotpot buffet restaurant with 17 types of beef such as Wagyu & Angus. 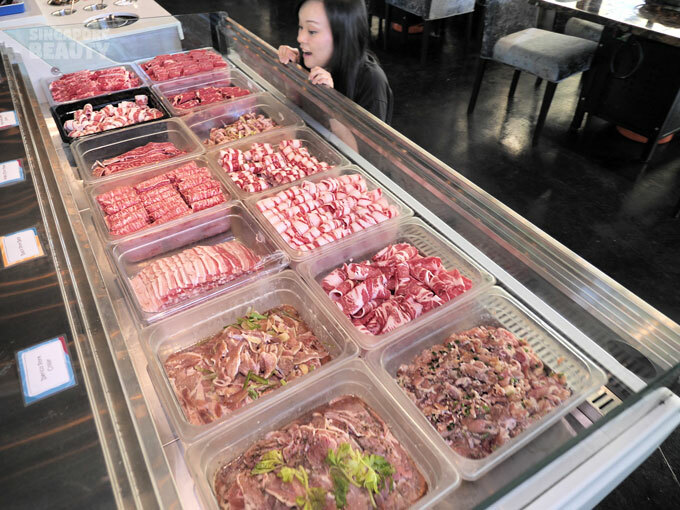 8 types of pork and chicken such as Iberico pork collar, black pork & cumin chicken. 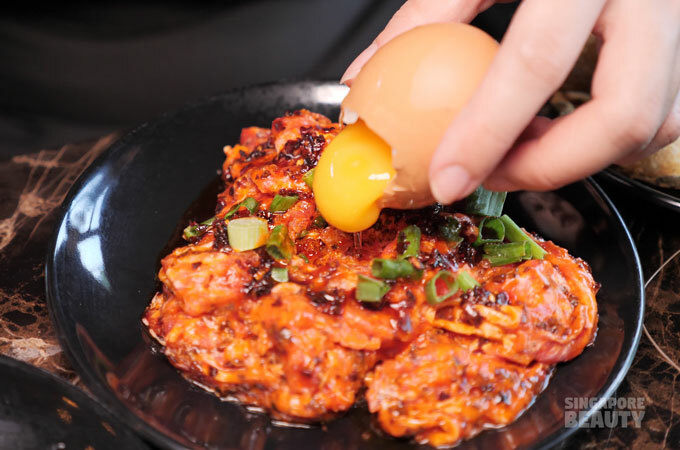 Quote SingaporeBeauty and get 10 % off their opening price till end of May 2019. 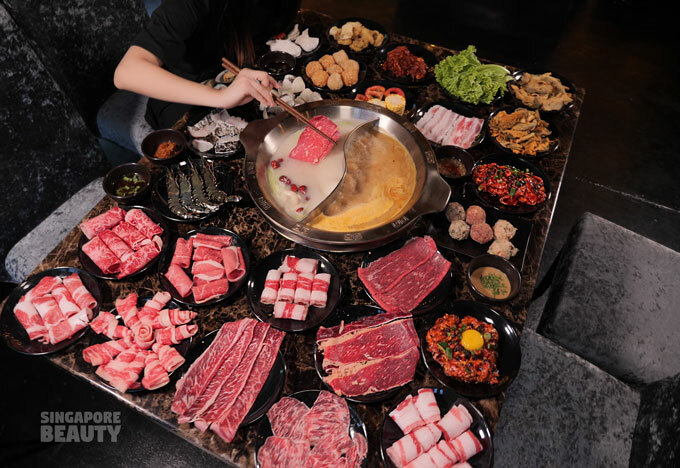 Unbelievable display of as many as 17 types of beef – Wagyu eye round, Wagyu Meltique, Wagyu oyster blade, Wagyu, ribeye, Angus short plate, boneless short rib, marinated beef slices, spring onion garlic beef, egg yolk marinated beef, Mala beef, specialty wine beef and 5 marinated beef of the day. Check out the marbling on these ribbons of Angus boneless short ribs. 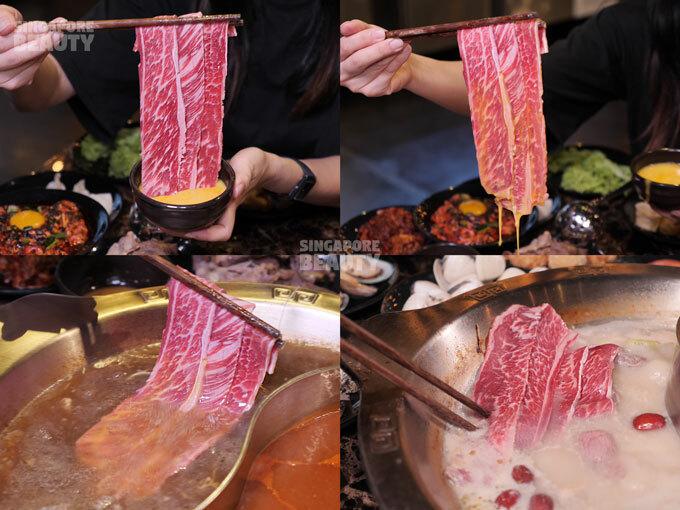 Dip these delicate ribbons of Angus boneless short ribs into a raw egg wash. Stir meat in the soup base to give it a velvety texture. 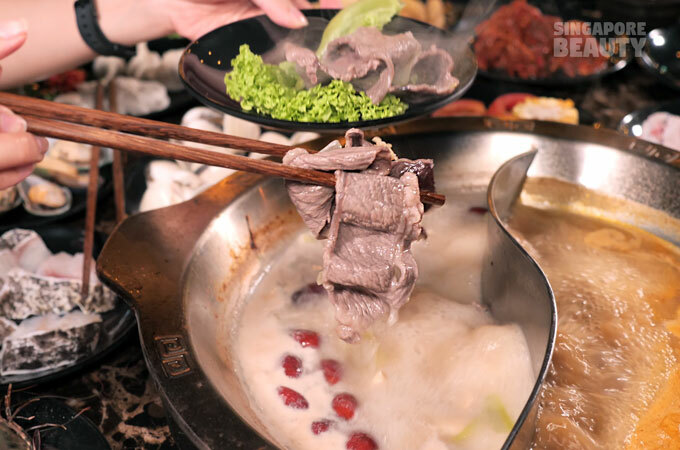 This action of shabu shabu helps to remove excess oil and lightens the taste. 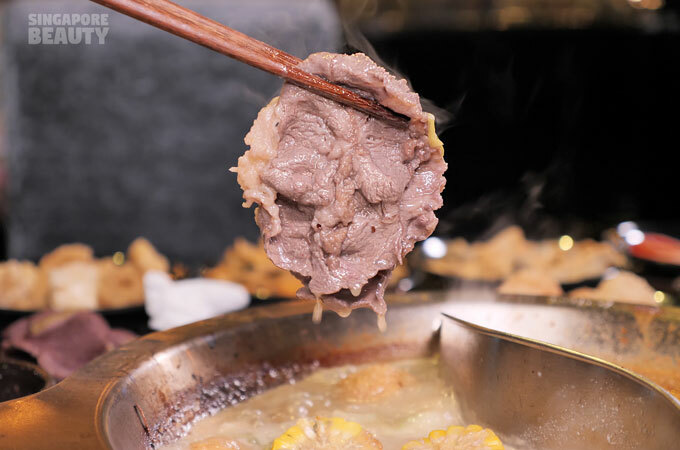 Alternatively, you can dip the cooked beef into egg wash to give it a milder taste. 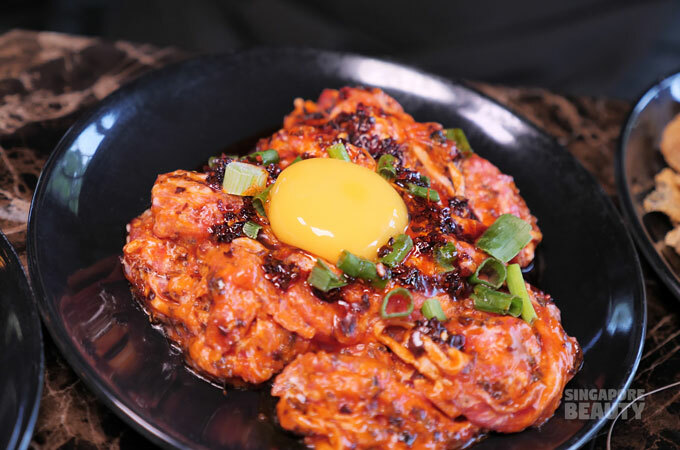 This is the Mala egg yolk marinated beef. 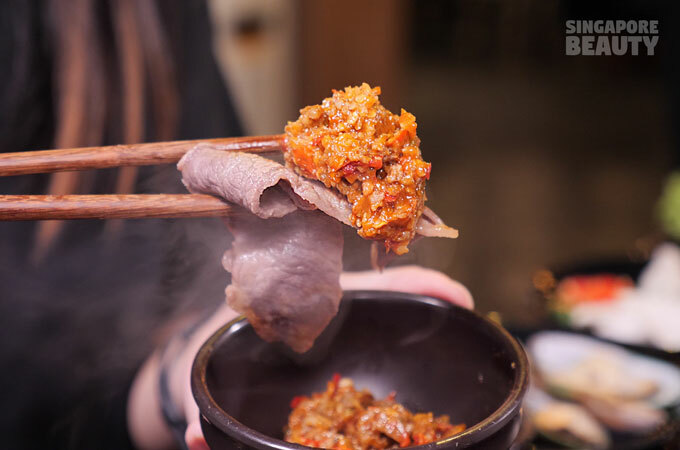 The cooked beef tasted like a marriage of moonlight horfun’s type of silky with the spicy savoury kick of mala. 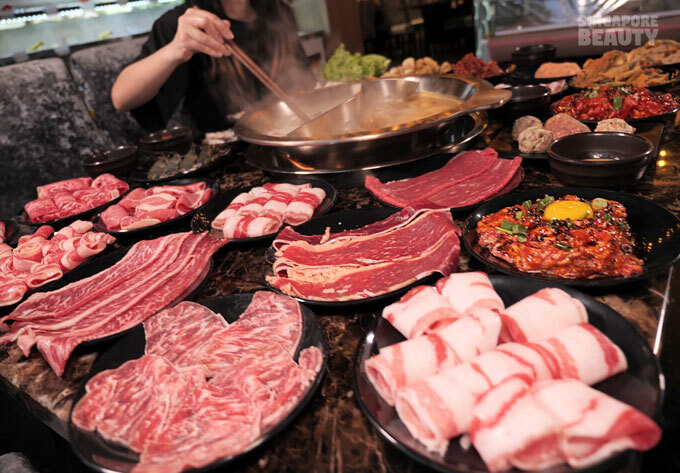 You can hardly taste the gaminess of beef anymore, great for non-beef lovers. 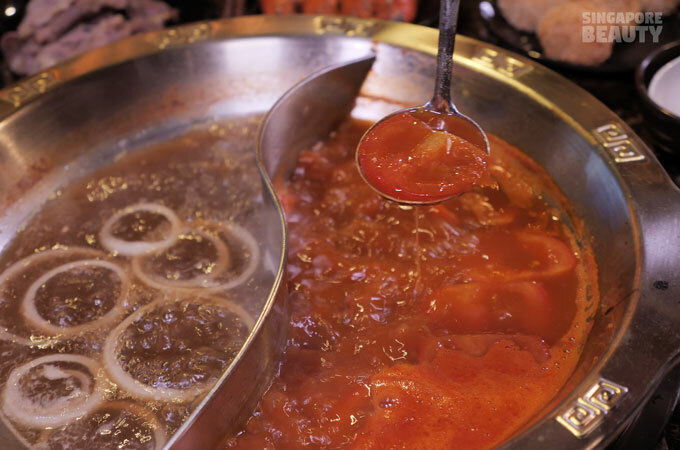 At the condiments station, you can help yourselves to unlimited satay sauce. 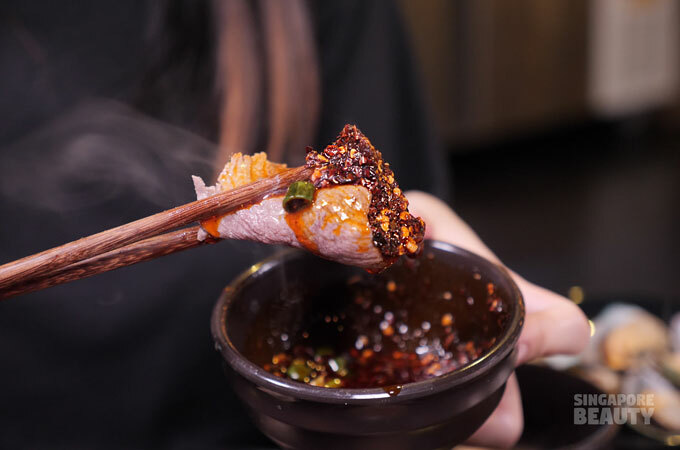 How about some mala sauce to fire up your night? How about a Mongolian peanut butter dip? 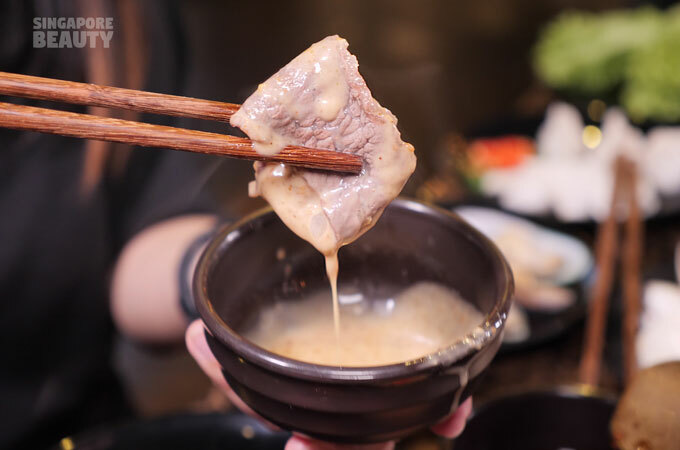 Mix an equal amount of peanut sauce, soy sauce and bean sauce in a bowl and create the perfect dip for a slice of hot piping beef tenders. 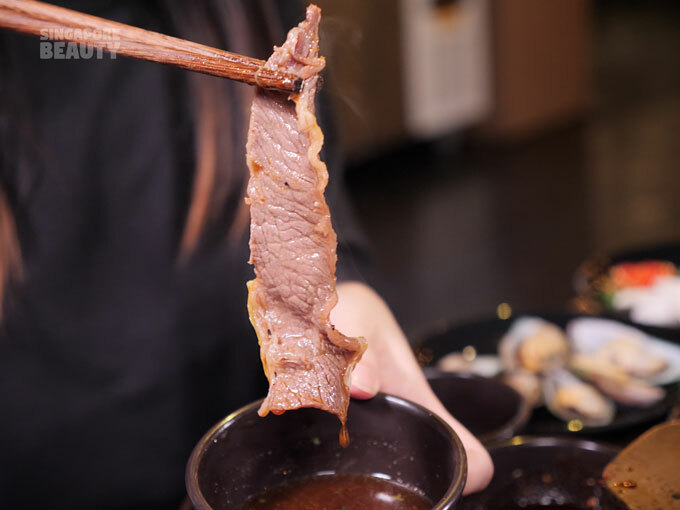 There are also special in house beef sauce and wasabi mirin soya sauce dip. Not sure how to do it? Check with the waitress. There is a sauce for everyone. 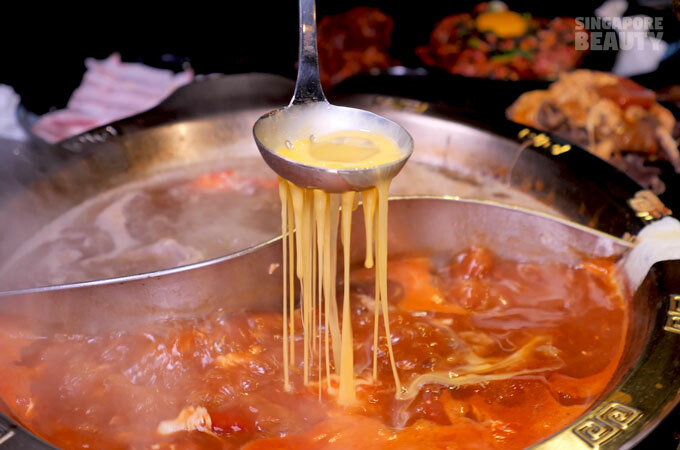 If you are not so much a sauce person, the types of soup choices available should be more than enough to delight your taste buds. 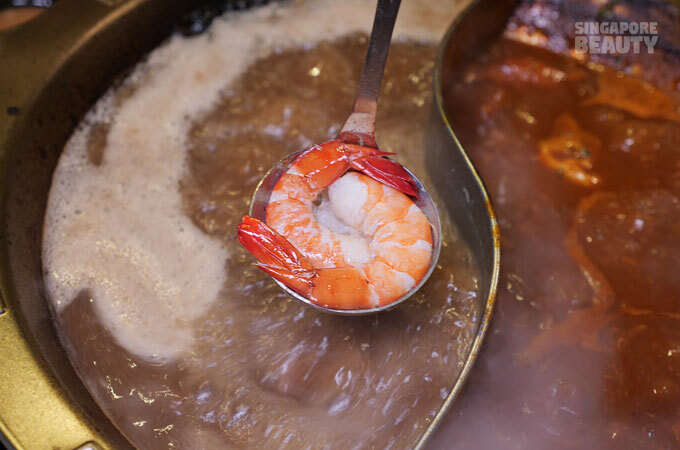 The duo soups above are French onion soup and seafood bisque. You can also try their tangy tomato soup with a diy egg wash. 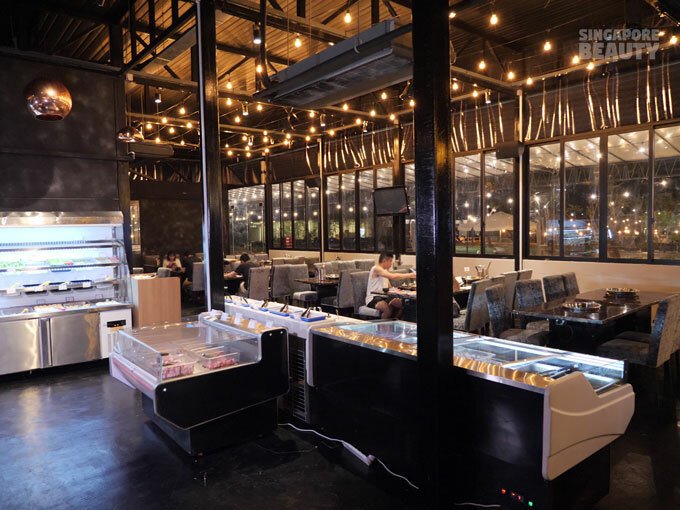 The duo soups above are satay and XO Prawn Collagen which is also the chef’s recommendation soup. 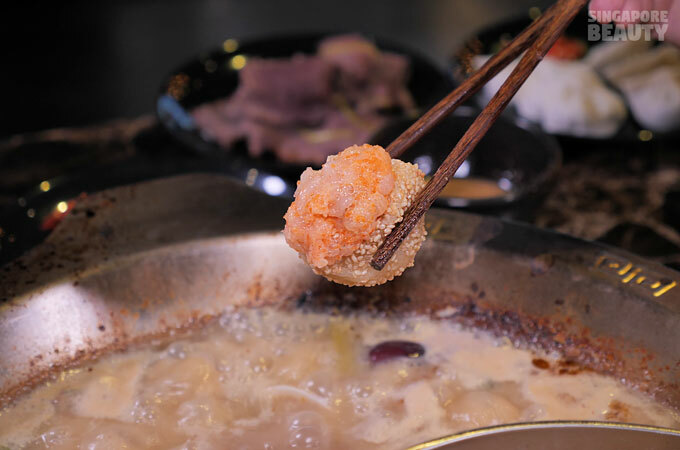 Other soup such as herbal chicken, original collagen, beef stew and kimchi soup are also available. The soup base are whilst stocks last. 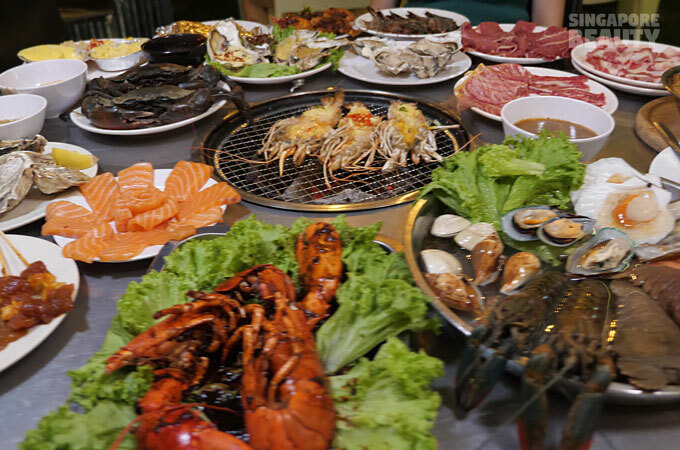 Do check with the restaurant if you are heading over for a particular soup base to make sure it is available for the day. 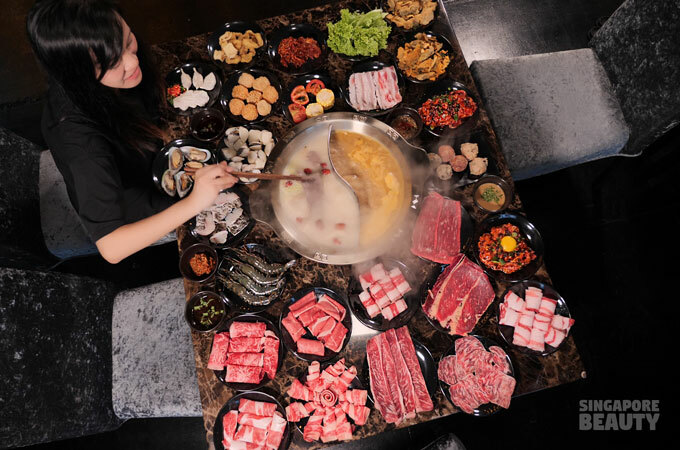 Besides beef, the hotpot restaurant also offers pork and chicken options. 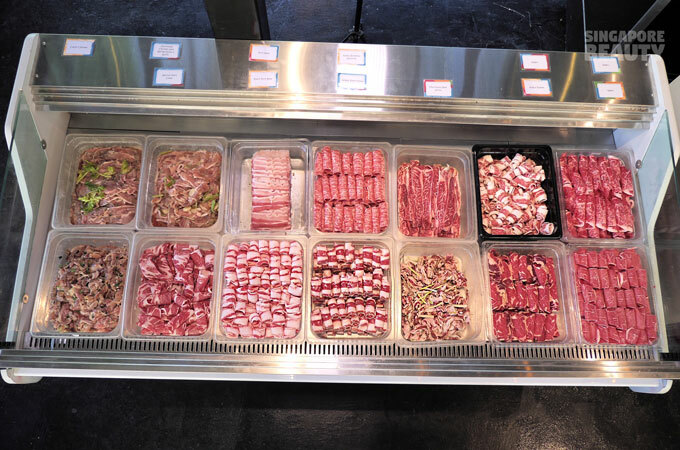 Iberico pork collar and the classic pork belly are available. For poultry lovers, there are marinated cumin chicken, garlic onions chicken and chicken of the day with a secret recipe. Iberico pork collar – a fatty cut of pork will remain tender even after cooking. 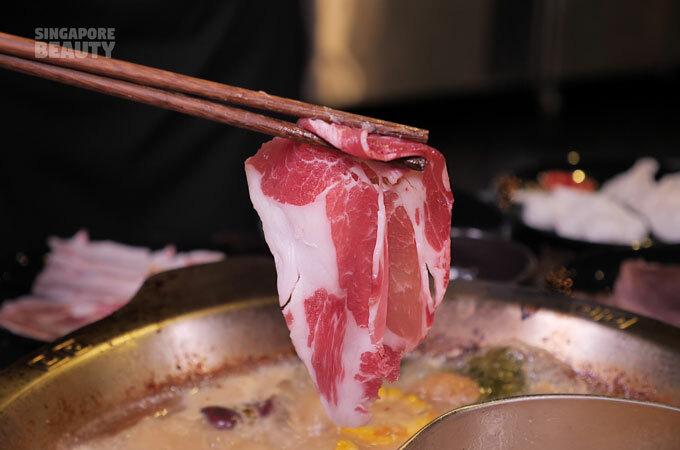 Chomp down on these juicy pork slices with soft springy fatty fins that melt in your mouth. 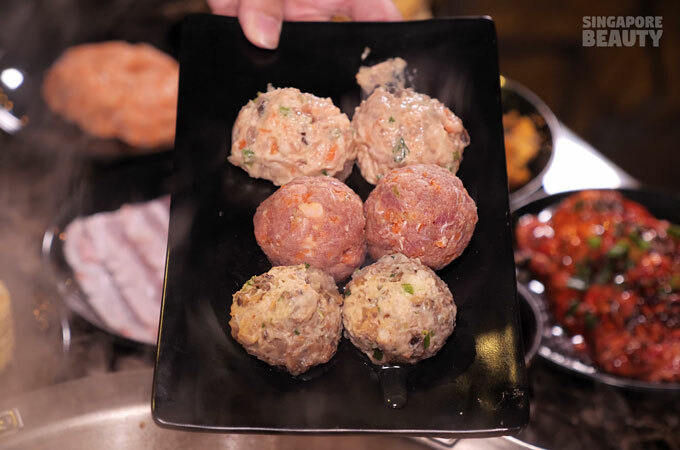 These are the handmade giant meat balls – beef balls with carrots, pork balls with mushrooms or shrimps. 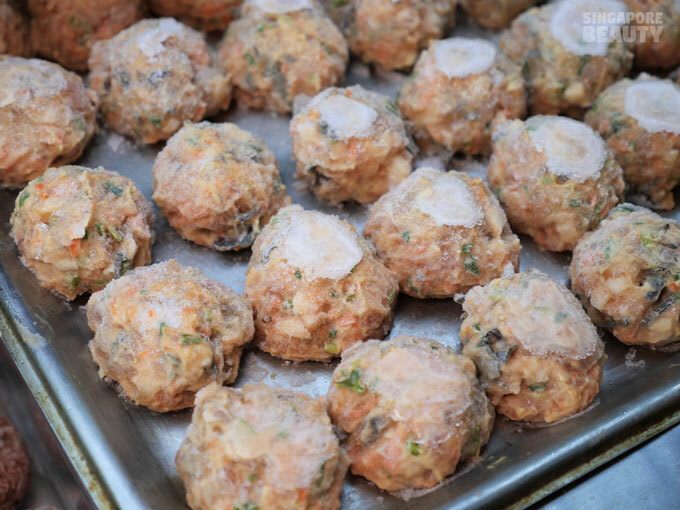 These meat balls are so frozen you can do a snowball fight with them. Fret not, they are frozen for a good reason. 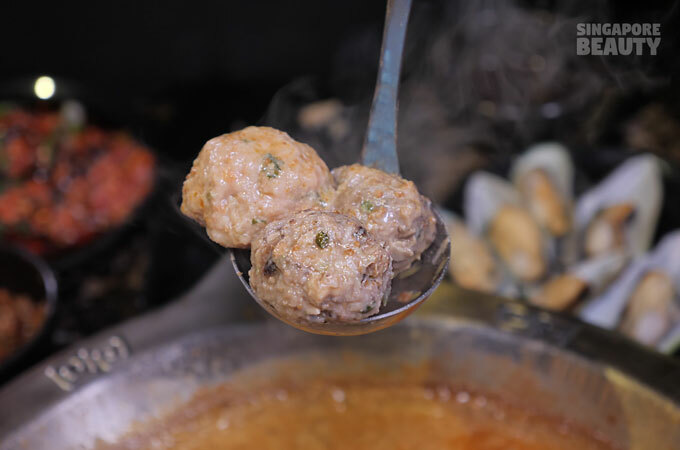 The frozen meat balls when cooked in a bubbling hotpot will give it the best springy texture that a good meat ball should have. Time to feast. 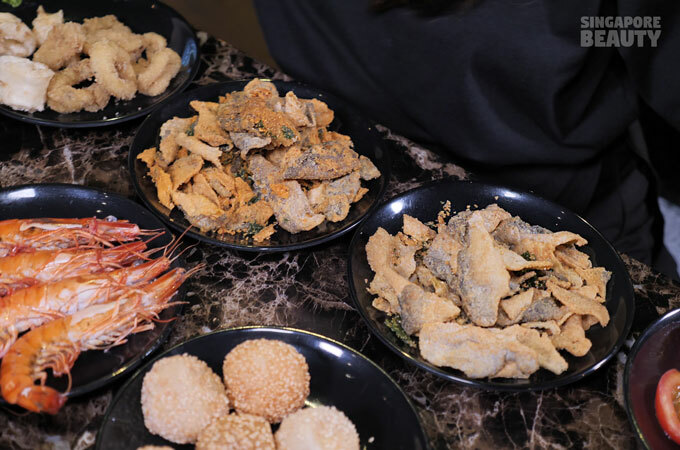 While the cooking time for these balls will take longer than usual, you can help yourselves to unlimited finger food such as fish maw, calamari, mocha balls, Mala and salted egg crispy fish skin. 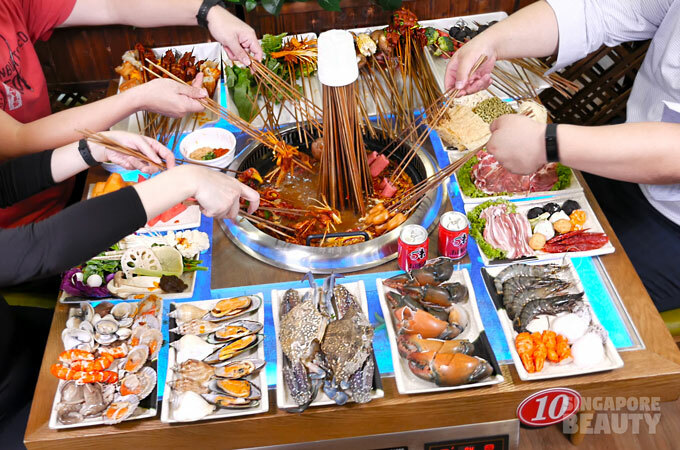 The Three Peacocks hotpot also has a modest selections of delightful seafood. 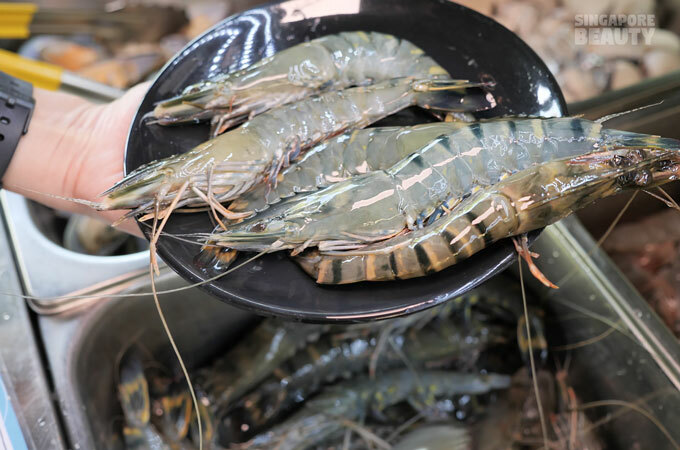 Some good size tiger prawns and white prawns too! 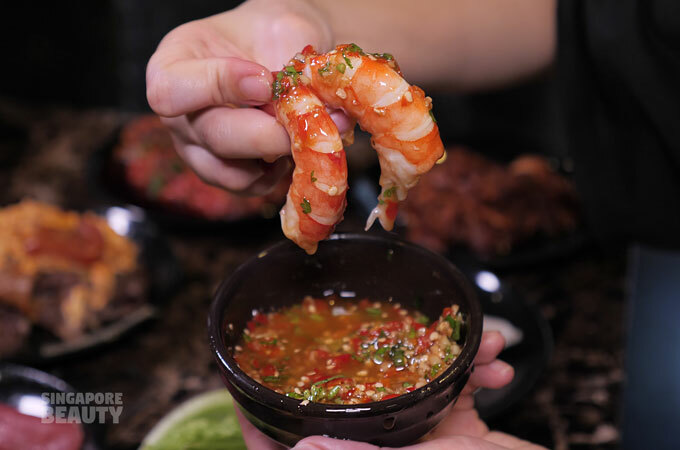 Create your own garlic chilli vinaigrette as a dip without overpowering the sweet and crunchy prawns. 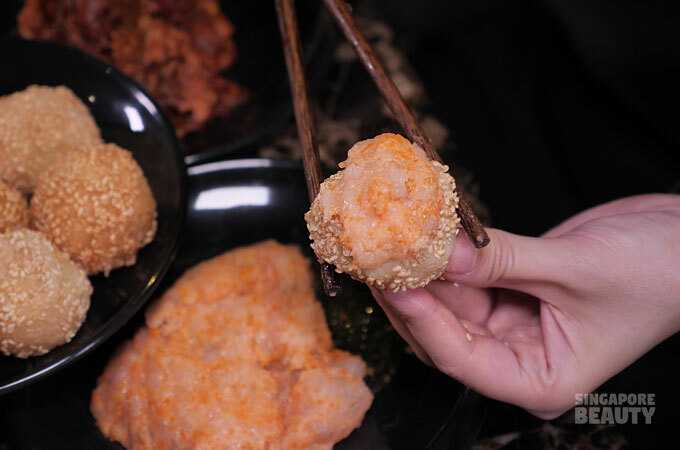 Use the prawn paste to create your own sesame balls stuffed with prawn paste mixed with raw eggs. Chewy sesame balls with crunchy prawn paste. 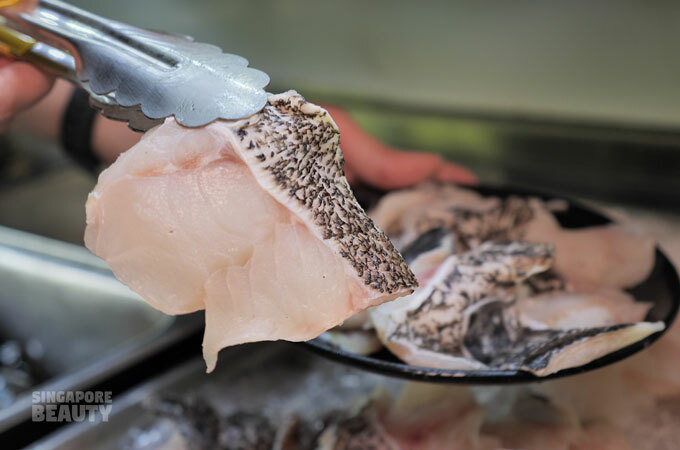 Help yourselves to loads of grouper, dory fish, cuttlefish, white Venus clams and mussels. 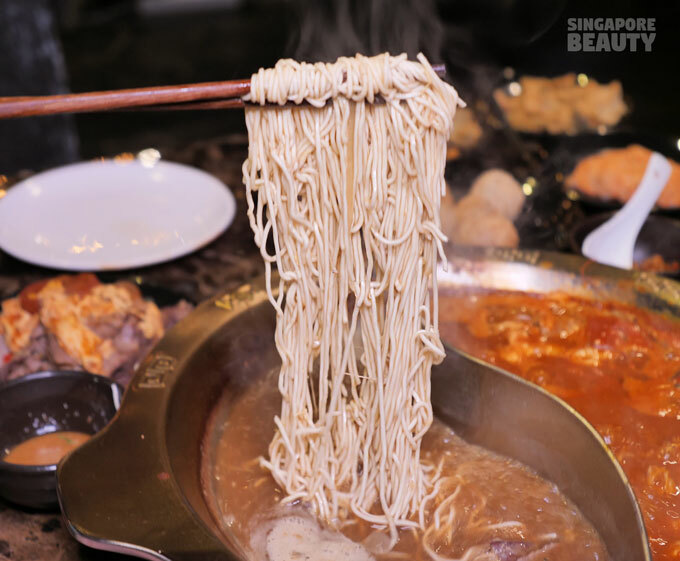 Cook these ramen last to soak up the savoury soup after cooking the meats, seafoods and green. The ramen portion is huge and great for sharing for 2 person to 1 ramen. 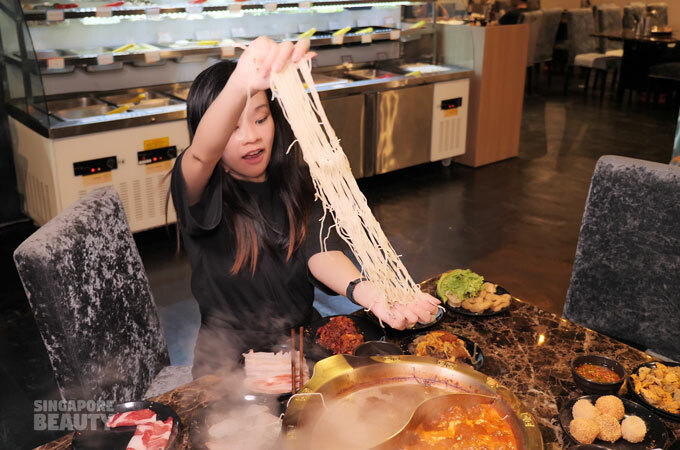 You will be spoilt for choice with the variety available such as Chinese ramen, Japanese ramen, udon, special meehoon, tanghun and Maggie mee. 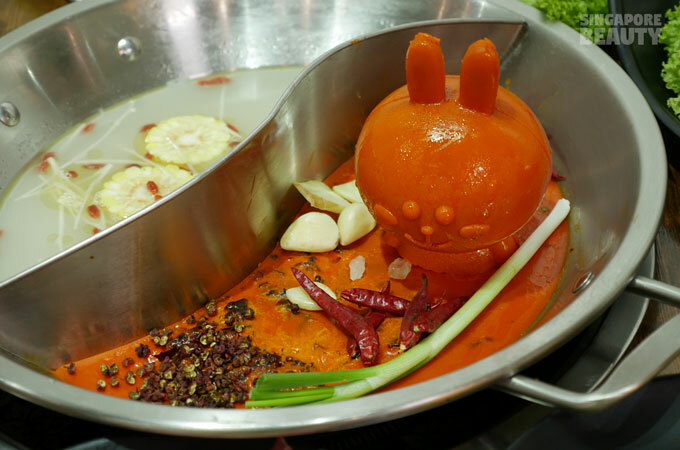 There is something for everyone at The Three Peacocks hotpot restaurant. 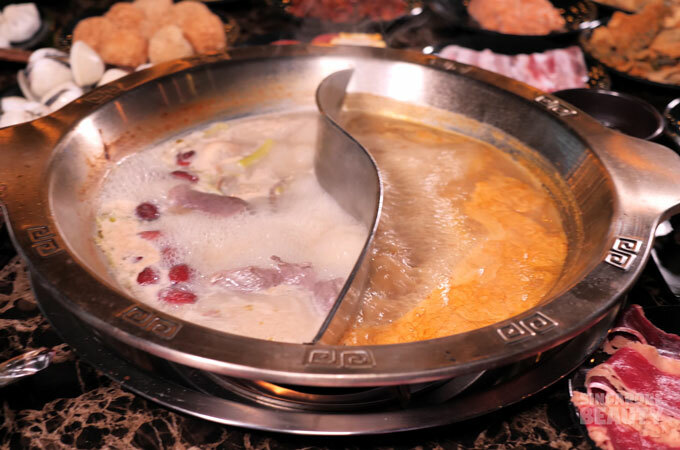 Head over to The Three Peacocks hotpot restaurant now or call for reservations. Cushion seats with posh table tops in a classy no frills air conditioned indoor setting. 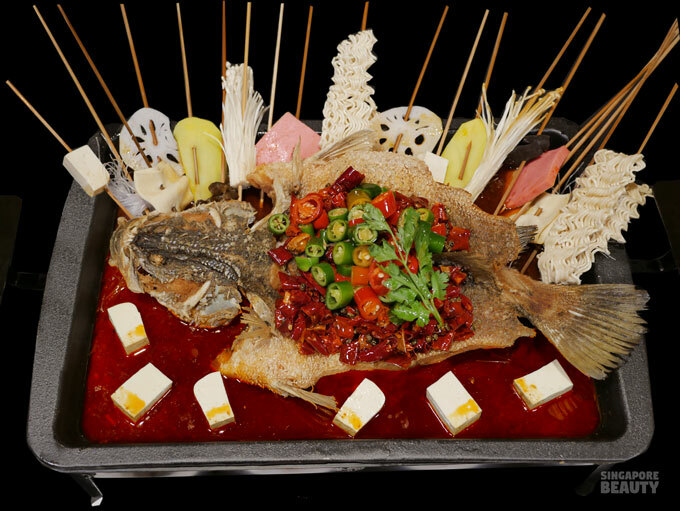 Great for intimate groups, family or corporate events. 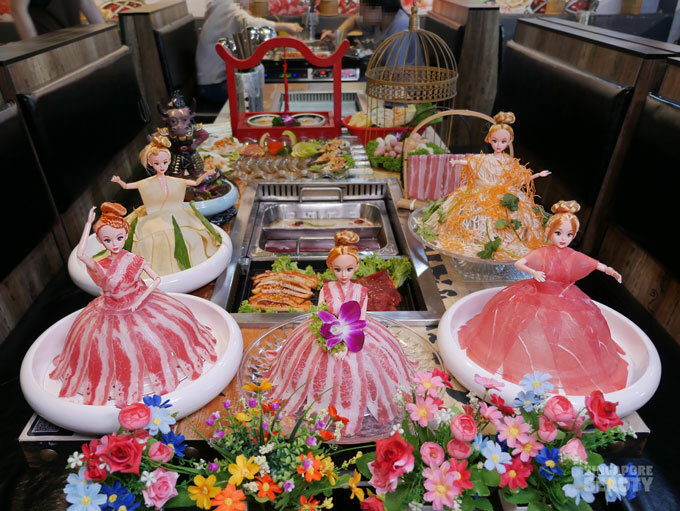 Kids (6 and below) eats free! If you are driving, plenty of parking space available (free parking).